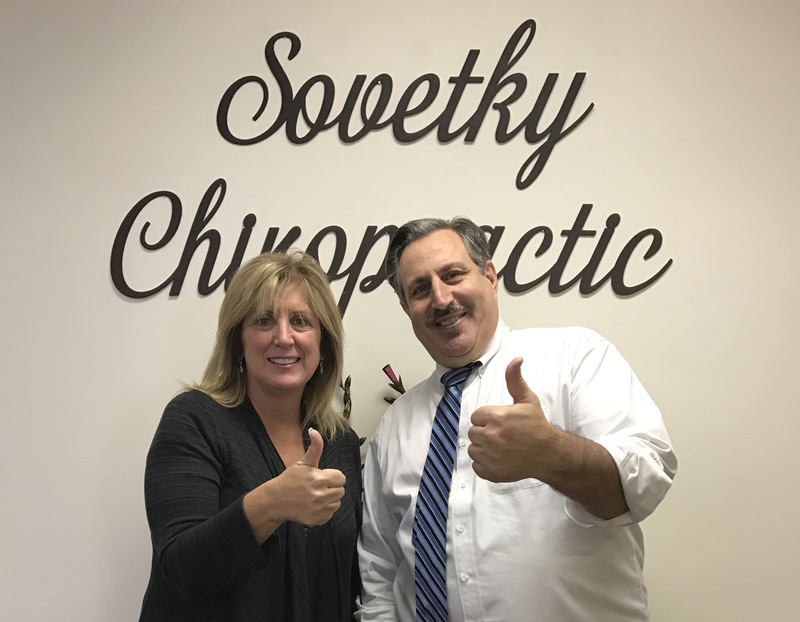 We value our patients' experience at Sovetky Chiropractic. If you are currently a chiropractic patient, please feel free to complete the following Client Experience Questionnaire. The Questionnaire is in Adobe Acrobat format, and requires the free Acrobat Reader to view. "Dr. Dan has literally saved my life. 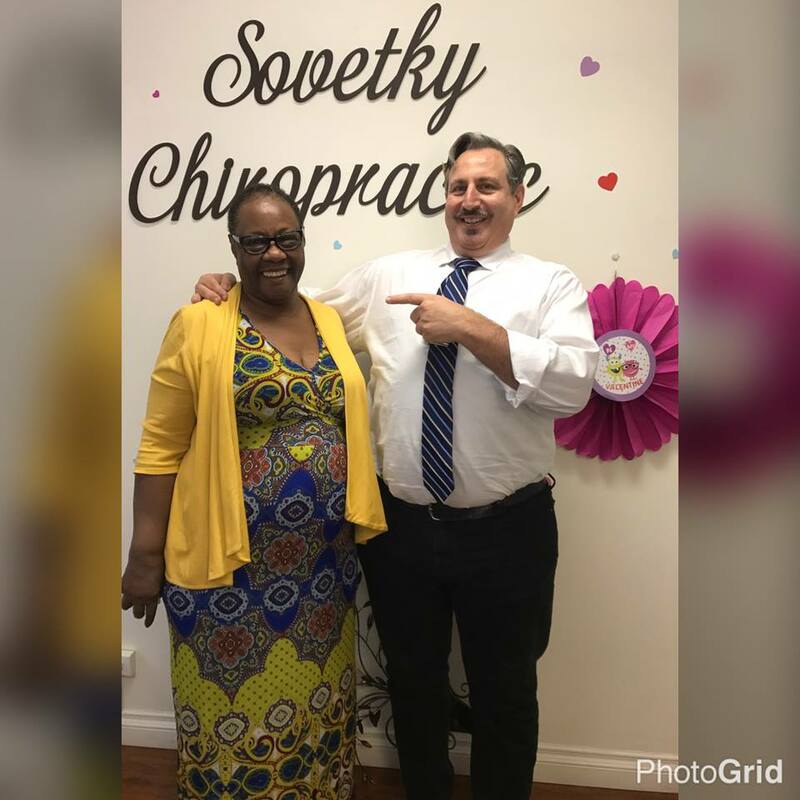 I inherited Dr.Dan when my former chiropractor sold her practice to him back in 1991. I have an injury to my neck from my profession of being a dental hygienist for 16 years. The pain from my neck and down my right arm caused me to have to retire early from my profession. Neck surgery was recommended to help my condition but I decided to seek less invasive treatment through chiropractic care. I feel very fortunate that my neck came to be in Dr.Dan’s hands (literally)! 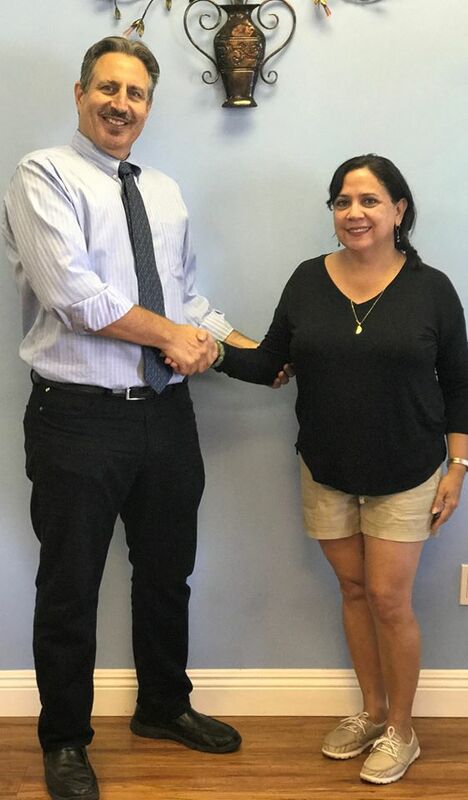 He has kept me going all good these years and I know he will continue to provide excellent care to me and all who come to him for their chiropractic needs. When I first visited your office, I was complete “disrepair.” I was in such pain and my back was so “out of whack” that my doctors thought putting me on pain medications was the answer. I run a very busy law practice and I have to be at my best at all times. Pain medication was NOT THE ANSWER! Fortunately for me, you had the answer! You put me on a regime where I felt immediate relief. I looked forward to every visit to the office because I knew that each visit brought me closer to feeling my best. Getting old is tough enough – but having to deal with aches and pains is no fun, particularly when you have an active life like I do. Since starting treatment with your office, I have lost 10 pounds and my range of motion is better than ever. I have taken 10 strokes off of my pitiful golf game and I play tennis without waking up in pain. Yes, I could have been on pain medication which would have masked the pain, but the degeneration would still be there. Your treatment regime and the change in my spine have made such a difference in how I feel every day! I feel younger and I am able to do the things I used to do and I do them even better. Thank you for investing in my health; thank you for encouraging me to continue my treatment and workouts; and thank you for making me feel good again. 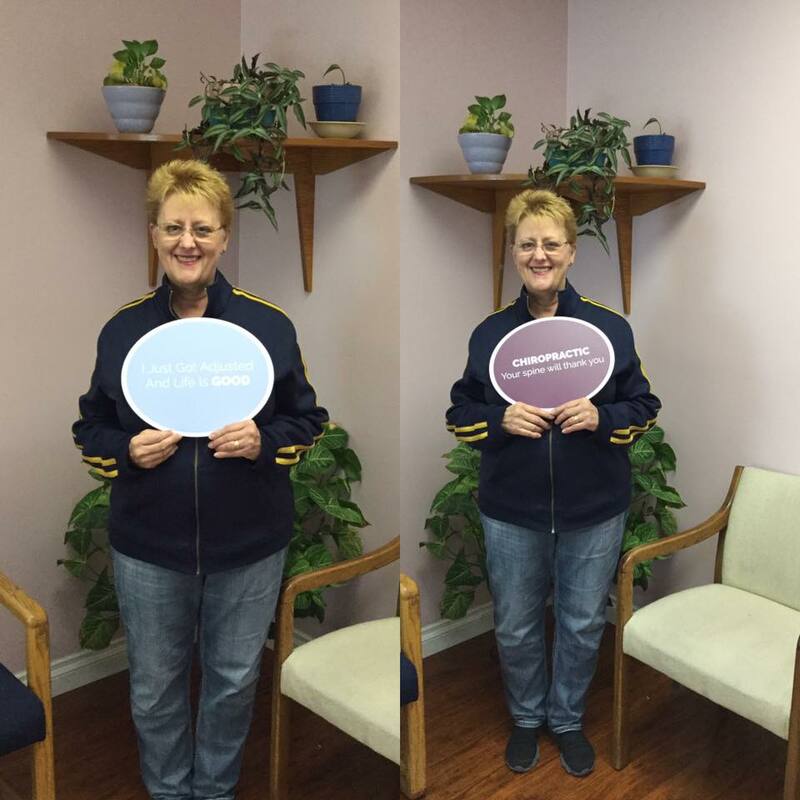 "I am very grateful for the services offered by Dr. Dan and his staff. I have been treated very nicely. The staff here is so polite, kind and very friendly. They have been understanding and cooperative with adjusting my schedule. Dr. Dan not only helps you with your problems he also teaches about life and how it either creates a problem or solves them. It is really wonderful to get in my car and actually turn my head without any discomfort or limitations. I am also very clear in order to maintain this I need to do my part. I am very grateful for their wonderful services, kindness and excellent results." "Thank you for making me feel better! I know that it is a process and I have to be patient but I’m very pleased that in a short time of treatment I have improved a lot. I have less pain in my neck and can move my head towards both sides without pain and that is HUGE FOR ME! I’m less tired in the afternoons not like before with a lot of fatigue." "I was suffering from constant ongoing headaches for about a year. They were getting worse in frequency and intensity. I also started getting upper back and neck pain. It got to the point that I was taking Tylenol or Motrin 2-3 times a day, every day, for about 3 weeks straight. I didn't want to take pain medication as routinely as I brushed my teeth. So I decided to seek an alternative method. Approximately 5 years prior to this problem, I was bothered by some lower back pain. My employer, a pediatrician referred me to Dr. Sovetky. I had immediate improvement with relief of my lower back. I chose to try a chiropractic approach for this current problem. Once I decided to try this route, my only choice was Dr. Sovetky. I really am thankful for the approach Dr. Sovetky takes in getting to know me individually. On the initial visits we thoroughly discussed my problems, my expectations, my goals, and my treatment plans. Once I started treatment I instantly noticed improvements. My headaches decreased drastically. They were almost non-existing. My neck and upper back have improved beyond my expectations. I didn't realize how limited my range of motion was to move my head, until about 3 weeks after my adjustments started. I started to notice, while I was driving, I was turning my head with great ease to look back at my blind spots. I had not realized I was actually turning my entire upper body to look back instead of only turning my head. I have a full schedule as a single mother of 2 young children. I work and I am attending college. So my time and financial resources are limited. However, making the time for my healing through chiropractic treatment has been the best decision I have made. I feel lighter and less stressed in every aspect of my life. I have increased energy. I am no longer self medicating to manage pain. I can enjoy playing with my children, free of back pain. I continue to find benefits." New patients receive 15% OFF first visit.